$1 billion Urban Congestion Fund. $3.5 billion Roads of Strategic Importance to upgrade key freight corridors in regional Australia. Continued funding for the Black Spot and Roads to Recovery programs. The $20,000 instant asset write off for businesses with a turnover of less than $10 million per year will be extended for another year to 30 June 2019. The extension of the Taxable Payments Reporting System (TPRS) to road freight transport and two other industries. Under the TPRS, businesses are required to report payments to contractors to the ATO, in line with the way wages are reported. The extension will take place from 1 July 2019. It should be noted that the TPRS has already been extended to couriers; this takes effect from 1 July 2018. From 1 July 2019, businesses will no longer be able to claim deductions for payments to their employees such as wages where they have not withheld PAYG. Similarly, the Government will remove deductions for payments to contractors where withholding requirements apply and have not been met. 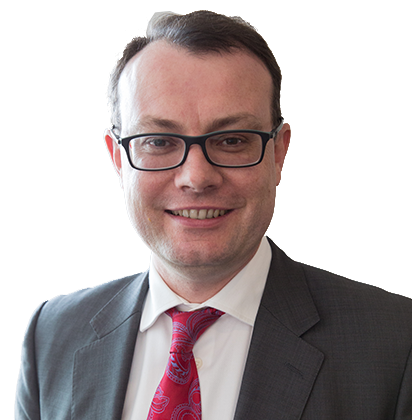 There will be reforms to combat illegal phoenixing, including new phoenix offences and rules to prevent directors from improperly backdating resignations. to specific regions or corridors, as detailed below. Urban Congestion Fund: $1 billion. Major Project Business Case Fund: $250 million. Coffs Harbour Bypass: $971 million. Port Botany Rail Line Duplication: $400 million. Barton Highway corridor: $100 million for the continued upgrade of the Highway, which is an important link between regional New South Wales and the Australian Capital Territory. Monaro Highway Upgrade: $100 million. 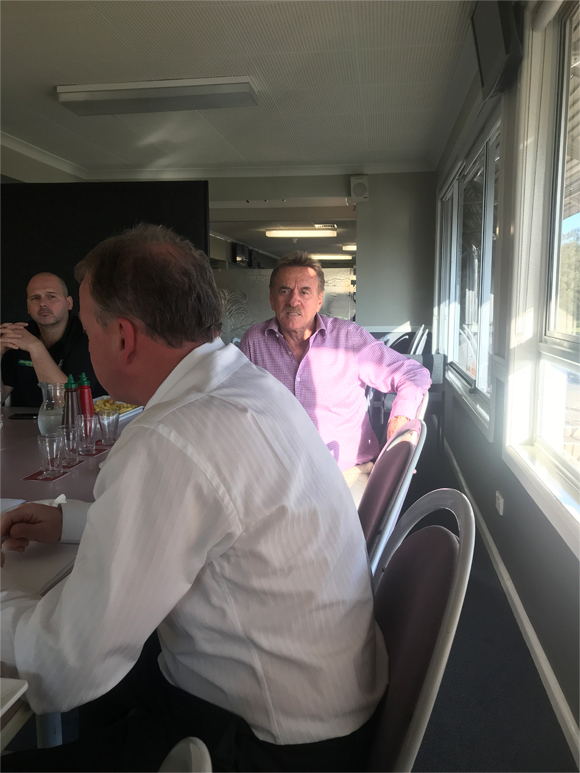 ACT will also benefit from the increased connectivity with NSW generated through the ROSI initiative to upgrade the Barton Highway. 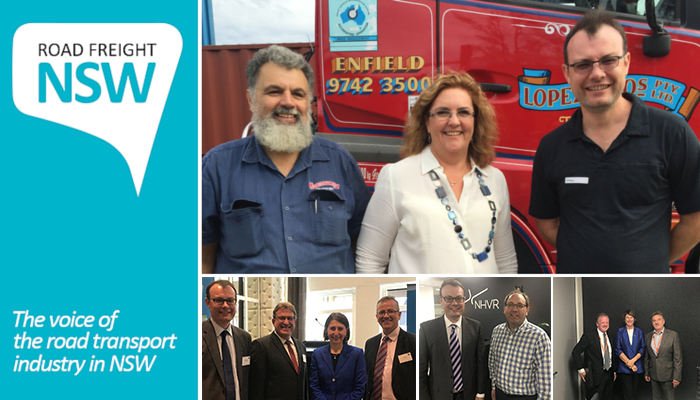 RFNSW attended the NHVR Industry Reference Group in Brisbane on Monday last week. Permits were discussed, particularly the SA bridges department and dissatisfaction was expressed about the length of time permits were being issued for transport into and through SA. RFNSW has, and noting that we are noting that we are not taking aim at the NHVR over this issue, previously expressed angst about the length of time SA bridge department was taking to issue permits to our operators. 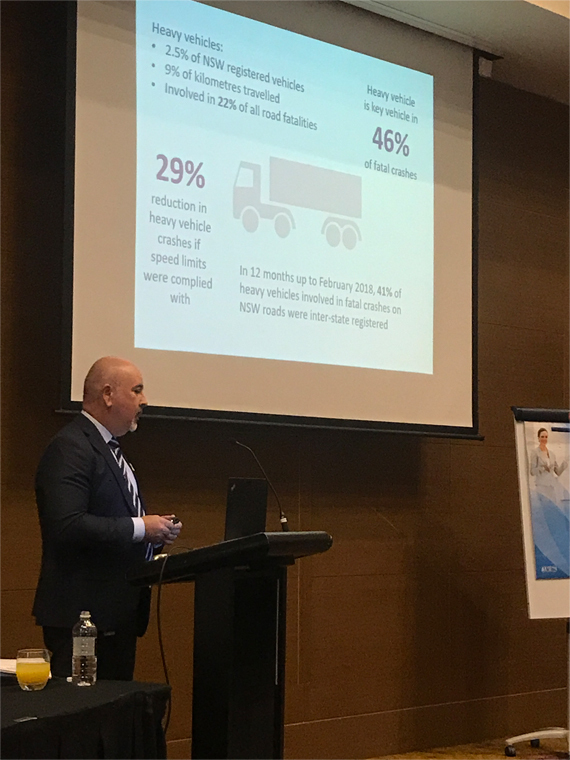 The remaining question from RFNSW is why are there not pre-approved routes/permits in place for heavy haulage operators? If one of our operators continues to use the same route with the same load into SA (and sometimes Victoria) month in and month out, why is that route not pre-approved or some process that builds on previous applications put in place for that carrier? We note there is an alliance of states and territories calling for a government inquiry. In coming editions, we will be hearing from our OSOM representative seeking your input about this issue and others affecting heavy haulage operators. 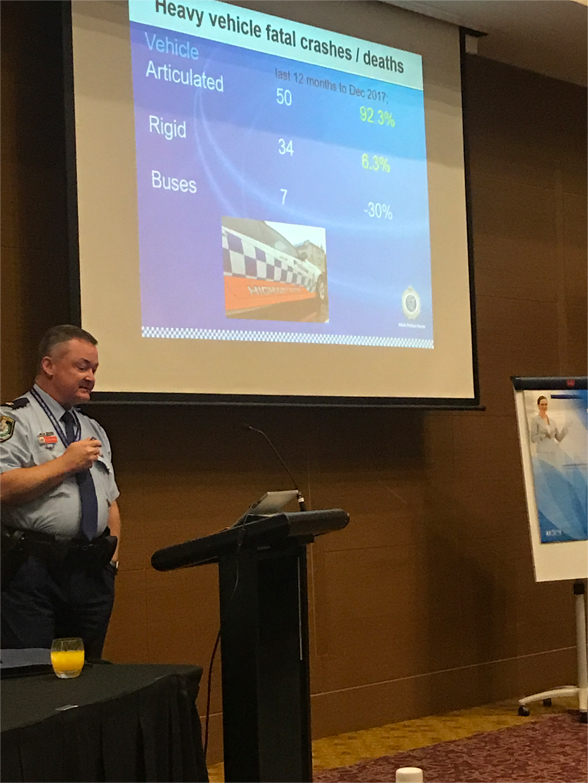 Last week I spoke at the TCA Forum at Rooty Hill RSL with Chief Inspector Phil Brooks, NSW Police, Roger Weeks RMS and Chris Koniditsiotis from the TCA. Chris welcomed all of us and spoke in detail about the value of telematics for the industry. Phil gave some context from his experience around fatigue and provided examples of truck fatigue in both video and news reports. Phil said in his view that fatigue was contributing to heavy vehicle incidents on the road and we needed to do something about it. 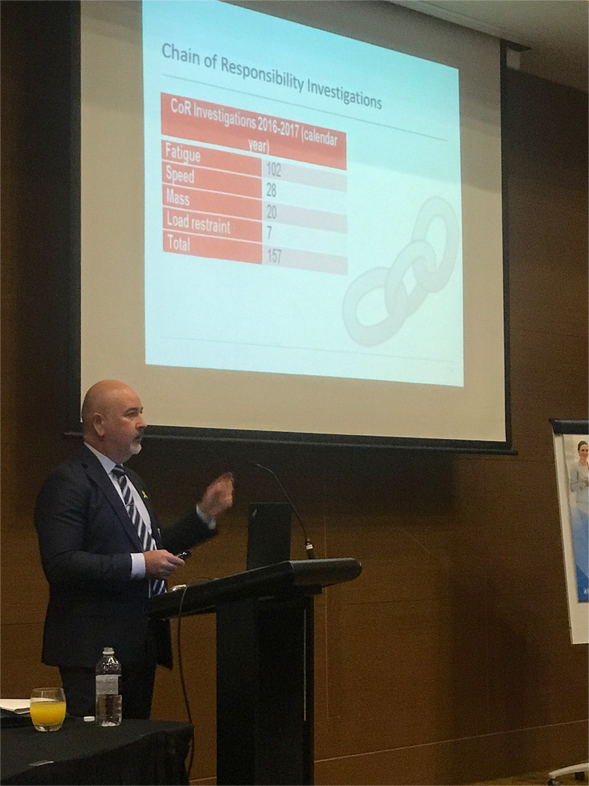 Importantly, Roger also discussed one of the latest CoR prosecutions relating to speed and fatigue offences with sentencing on 13 March 2018 for a 2015 fatal crash on the Hume Highway north of Yass involving the collision of a B-double operated by the accused and two light vehicles. From what I can discern from the presentation, the operator at fault was fined 187k, Director 1 was fined 4.5k and a 6 month prohibition order and director 2 was fined 1.3k and costs were awarded against the company in the order 100k. The total financial penalties were $293k against the heavy vehicle operator. I spoke about RFNSW and our offering and members. I made the additional points that the industry across Australia looked dimly at Operation Rolling Thunder and we believed that a 24 hour operation likely lead to less than useful outcomes and evidence and we need to examine more pro-active strategies to safety. 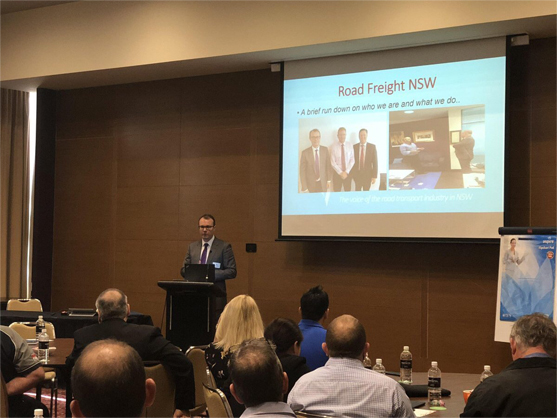 RFNSW believes in safety on roads and the use of telematics as part of that move towards safer roads, particularly given the tragedies in January this year. However, the view from many operators was that 'Operation Rolling Thunder' was a 24-hour operation of little safety value that ensured that the court of public opinion was negatively aimed squarely at road freight operators. 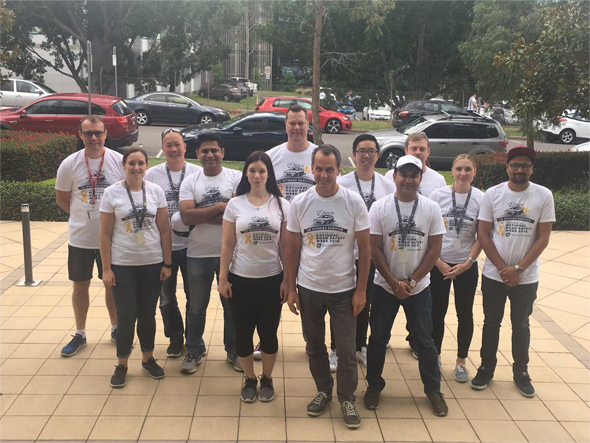 Last week, I was able to join Teletrac Navman in raising awareness for Road Safety Week in Macquarie Park. The next container meeting is in July with details to follow in coming issues. Greg Lawson from JJ Lawson for winning the TruckSafe award. PS: Don't forget to register for our IR Breakfast on 25 May. New award entitlements relating to domestic violence leave and now requirements relating to the provision of 'family friendly work arrangements' to employees. 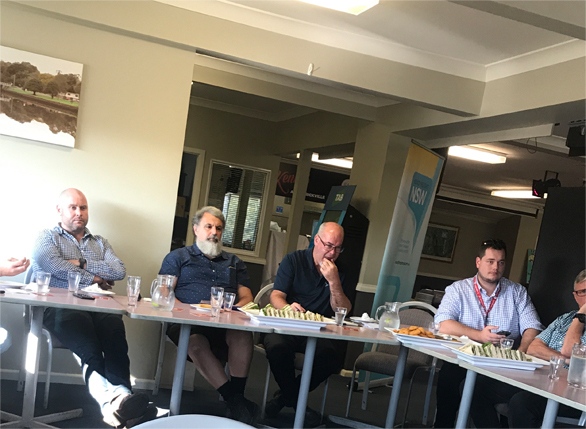 These meetings are an important aspect of RFNSW's ongoing engagement with key stakeholders and is an opportunity to ensure members concerns and suggestions are raised at the highest levels within NSW. As an association we have been committed to this forum for a number of years and are on our fourth Minister. The Minister has shown a great commitment to the Council. She is not only in attendance but clearly engaged, well informed and proactive. This attitude is reflected in the various representatives from RMS and Transport for NSW and this creates an environment where issues are not only raised but addressed and, in many cases, resolved. Road safety consultation by ensuring initiatives actually address safety and are not implemented for political purposes. 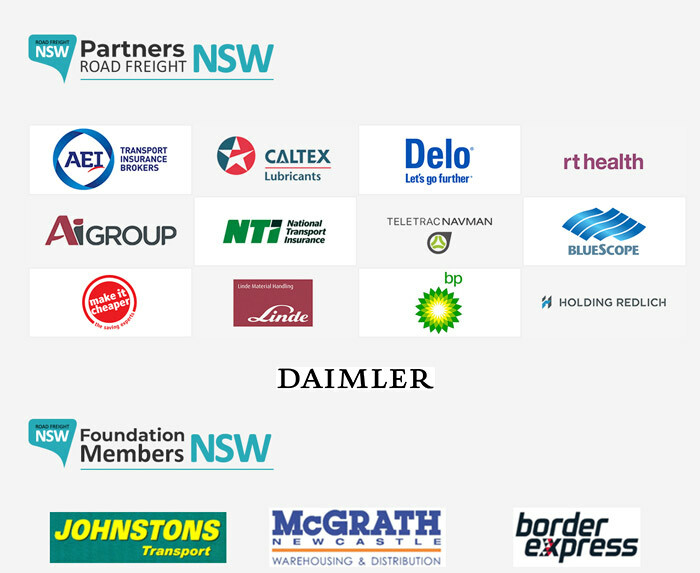 Reduce red tape for the industry including providing employers access to driver demerit point information. 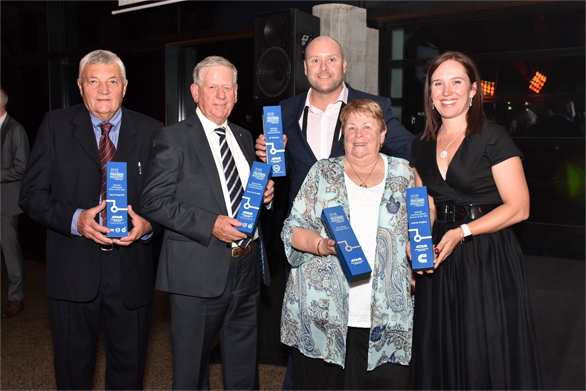 The RFIC is just one avenue utilised by RFNSW to get the voices of our members heard. It is not a magic bullet and there are areas where our views conflict with other members. It is also enlightening that many of the frustrations we encounter as operators are shared by the regulators. We are, however, there to voice the concerns and issues of our members. In many cases it is incumbent upon the industry to drive initiatives that will create better, safer, more productive outcomes for operators and the community. If you have an issue you would like raised at RFIC contact the association and we will place it firmly on the agenda. Did you know in the last year alone, Sydney's motorway networks have seen 83 traffic diversions and 6 accidents as a result of vehicles operating over their height limits? "I didn't know it was me" or "My GPS said to go this way" are common responses from drivers when interviewed by Police about entering a restricted zone on the Sydney Motorway Network. It is imperative that drivers know the height of their vehicle and plan their trip. We are encouraging all operators to check in with their drivers and make sure that they are taking all necessary steps to assess the height of their vehicle combinations before driving on the Sydney road network. Vehicles up to 4.3 metres high have general access to the network but must obey CLEARANCE and LOW CLEARANCE signs. Vehicles over 4.3 metres high up to 4.6 metres may operate on the routes approved in the 4.6 Metre High Vehicle Notice. Vehicles over 4.6 metres high must have a specific permit to operate. Offences for being caught with overheight loads include fines of $3,700, a loss of up to six demerit points and licence suspension for up to 3 months. Undertaking a quick 5 minute check to ensure the driver and operator know the height of the vehicle and its load is definitely worth the time. Every year about 60,000 people in NSW are injured at work. Thankfully, most get better quickly and get back to work in a few weeks. For those who don't, icare is there to give them support while they recover, in some cases for many years. So how much money is needed to be able to support these injured workers? And how do we work out how much we will need to support them in coming months and years? Let's start with an overview of how insurance works. People pay to insurance companies, money (called a 'premium') so that if something unfortunate happens, such as an injury at work, they will receive some money to help them through this difficult time. This premium does not simply sit in an insurance company's bank account. Some of it is used to run the organisation but most of it is paid out to people who have made claims (claimants) or invested to be able to make future payments to claimants, sometimes over many years. In workers compensation insurance, working out how much money needs to be put aside to support these future payments involves complex calculations that are performed by an expert (an actuary). The main part of these calculations is an estimate of amounts that are yet to be paid on claims already made. This is illustrated in Figure 1.
future economic factors such as interest and inflation rates. 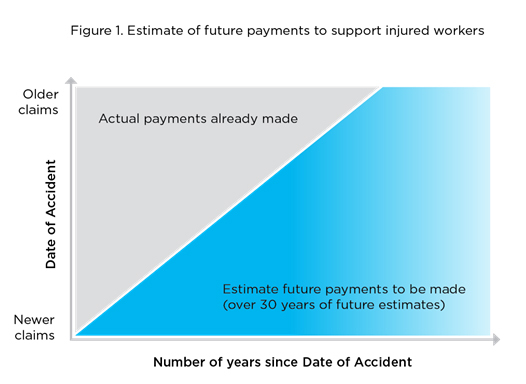 Because these are all impossible to work out exactly, it is sensible to hold more funds than the estimate of future payments, just to make sure there is enough to support injured workers and that the funds won't fall short. This is why we target a solvency ratio. For example, in the 2016/17-year icare paid $1.8bn in income support, treatment and care for injured workers in NSW. Because the future is unknown and hard to predict, it's impossible to know for certain how much money icare will need to look after injured workers for years to come. Therefore, we must always be careful with how we manage and track our finances to ensure the workforce of NSW are protected well into the future. Fuel Tax Credit Scheme Administration Issues? Ahead of the 2018 meeting of the ATO's Fuel Schemes Stakeholder Group, could you please advise if you have any fuel tax credit scheme administration issues that you would like RFNSW to raise with the ATA? As the ATO is not responsible for policy development, any comments for this meeting should be restricted to the administration of fuel tax credits. Please let RFNSW know by COB Thursday 17 May 2018. Tyres; everyone knows what they are, everyone knows what they do but how many people actually know how they work and what influence they have on our transport system. "all the forces needed to both support and guide a vehicle ultimately arise in the area of contact between the tyre and the roadway. These forces are generated at the road surface in response to the deformation of the tyre structure." The deformation of a tyre is the result of the applied loads AND PRIMARILY THE INFLATION PRESSURE. It is well accepted that a flat tyre supports no load. A tyre that is under inflated by 10% (say 90 instead of 100 psi) has a reduced load capacity. If the same load is applied to the under-inflated tyre then it will overheat and wear considerably faster. The poor outcomes don’t stop just with tyres. A major axle manufacturer study reported that dual tyres unmatched by just 5 psi yields decreased bearing life of 10%, 10 psi yields a 20% reduction. How many dual tyres in your fleet are this closely matched? The poor outcomes from under-inflated tyres continue with increased fuel burn rates. Where does the heat in the tyres comes from other than the fuel tank? Why are you throwing profits away? What does it cost to inflate tyres appropriately? 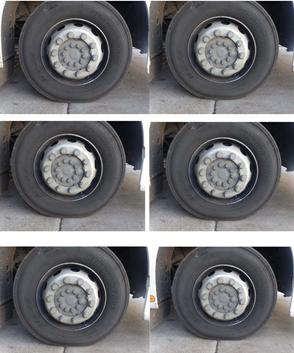 The following series of photos shows a steer tyre inflated to the working pressure of 120 psi, being deflated in 10 psi steps. When can you determine that the tyre is under inflated? At what level is an underinflated tyre dangerous? A simple comparison to make is oil to an engine, blood to a human, air to a tyre, it's all the same. Without the right oil level an engine will over heat, wear out faster at best, it could fail catastrophically. Without enough blood a human, yes we know. But not enough air in a tyre it seems that few actually care. Why? How do you as a manager/director meet your responsibilities under the CoR when tyres are considered? Can you evidence this? Tyres; one of the last low hanging fruit in a loss reduction strategy. How do you profit?